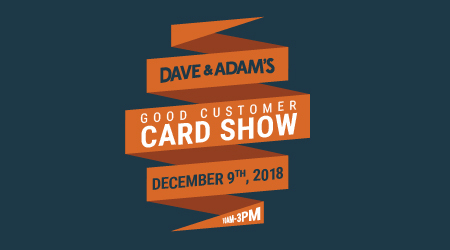 Sunday, December 9th will be our next Good Customer Card Show!! There will be over 30 tables set up with a huge assortment of cards and memorabilia available!! Also, we will be offering 10% off all trading card purchases during the show!! In addition, Buffalo Sabres defenseman Jake McCabe and goaltender Linus Ullmark will be in the store doing autograph signings from 11am-1230pm. To purchase tickets, click on the links below.